Any place that has green grass, open spaces, and sunshine has the makings of a great park. With sunshine almost year round and plenty of plush pieces of land, Miami is full of beautiful parks that are just begging you to visit for a picnic, barbeque, or any number of other fun activities. In case the beauty of the city’s skyline or the lure of its nightlife distracts you, here is where to find the city of Miami’s best parks. This park goes unnoticed by so many, but it shouldn’t. Legion Park is right on the edge of Biscayne Bay and offers wonderful views of the calm waters. There’s plenty of room to go for a run or bring your dogs to let them stretch their legs. The park also features both tennis courts and basketball courts that are kept in great condition, making Legion Park a great place to spend an afternoon whether you want to do something active or relax and enjoy the scenery. Parks don’t get much better than this: a 32-acre oasis in the heart of downtown Miami and right on the edge of Biscayne Bay. It’s a great place to bring kids, there are plenty of plush green lawns, and there’s a marketplace nearby in case you want to do some shopping or grab a bite to eat in between enjoying all the park has to offer. In addition to the great views, the amphitheatre at Bayfront Park makes it one of the top music venues in the city of Miami. Up in North Miami is one of the city’s largest parks at 265 acres. There’s so much space in Greynolds Park that it’s the perfect place to go for a walk, jog, and bike ride. There’s also a golf course and plenty of room for a picnic or barbeque. The collection of hardwood mangroves at Greynolds Park is stunning and makes it one of the most scenic spots in the city. The park is also a great place to go if you’re interested in spotting local wildlife, as everything from foxes to iguanas may be seen at Greynolds Park on any given day. Crandon Park is one of Miami’s secret beaches, but it offers far more than just a beach, even if the beach is the focal point. The park is located on the island of Key Biscayne off the coast of Miami and it offers acres and acres of space, far more space than what you would think for a relatively small island. The beach is undoubtedly spectacular, but there is also a golf course, tennis courts, picnic areas, and plenty of calm and tranquil waters in which to go swimming or kayaking. The entire park is one of the hidden gems that make South Florida great. On the southern tip of South Beach is a park free from much of the wild and crazy that encompasses Miami’s tourist scene. 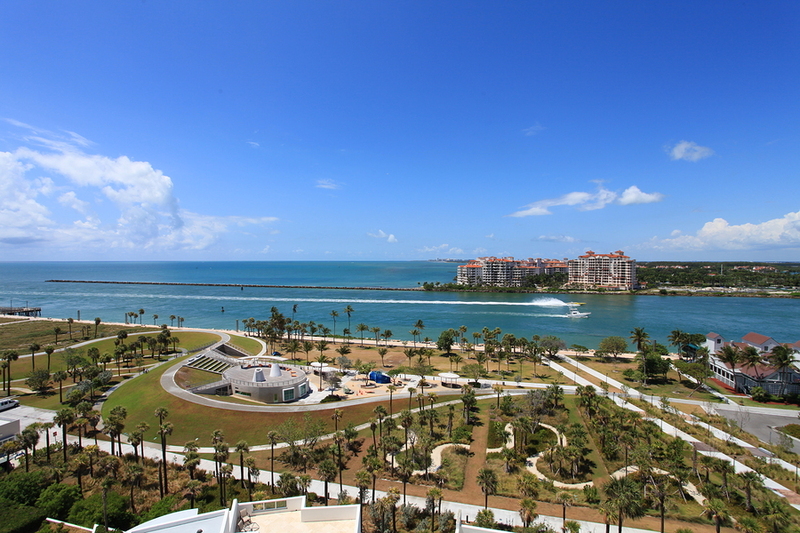 South Point Park is the perfect combination of a green space, a beautiful beach, and spectacular views. It’s an ideal place to spend a lazy afternoon, simply sitting back and watching boats moving in and out of the Government Cut. If you simply want to get away from it all and enjoy the scenery that South Beach has to offer, South Point Park is the place to go. Years ago, eating sushi became a massive trend in the restaurant industry, and it appears that it’s here to stay. 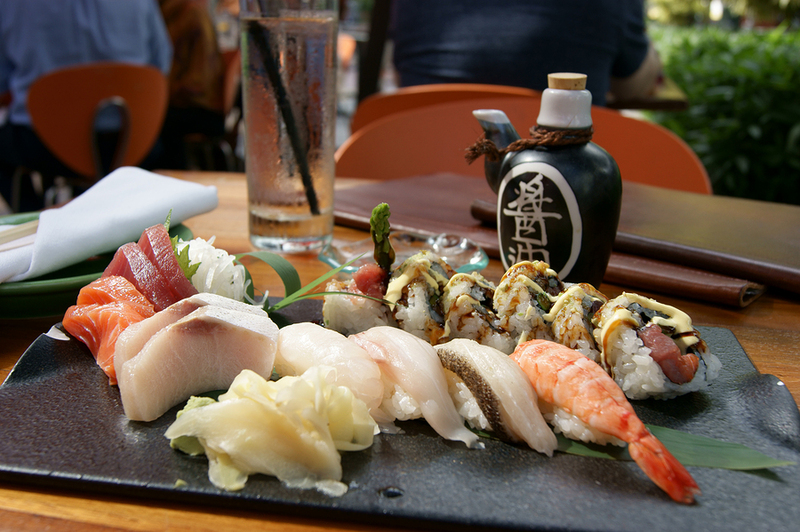 Naturally, being a great location for seafood, the city of Miami has been at the forefront of the sushi movement. Almost anywhere you go in the city, there’s sure to be a great sushi place nearby. There may actually be too many to choose from, but here are four of Miami’s most outstanding sushi bars. This place is a South Beach institution, bringing New York style sushi to Miami for over a quarter century. Many have hailed Toni’s spicy tuna roll as the best in Miami, but the rest of the menu is just as good and quite large. On top of that, you never know what the restaurant is going to offer as one of its specials, so there’s always a chance to get surprised. What Toni’s Sushi Bar lacks in fancy lighting and decoration it makes up for with good service, great presentation, and outstanding sushi. Zuma is a wonderful combination of great sushi and a great setting. It has outdoor seating right on the banks of the Miami River not far from Biscayne Bay, and even in Miami it’ll be hard to find a sushi place with a better view. The food at Zuma is equally impressive. On the surface, the food may look a little expensive, but it won’t once you take your first bite. Anything listed on the menu under “Zuma Special Sushi” is absolutely to die for. There’s a California roll with real Alaskan king crab, two types of sea urchin, and an amazing scallop option. No one leaves Zuma disappointed. Located in the Miami shopping hub of Bal Harbour, Makoto is one of the pre-eminent sushi destinations on South Beach. Many in Miami consider this the place to go for high-end sushi, whether it’s the spicy crab roll, the addictive spicy tuna, or the magnificent rainbow roll. No matter what you order from Makoto, it’s hard to go wrong, which is why this place is at the top of the wish list of every sushi lover in Miami. Located just outside of Coral Gables, Matsuri is one of the best-kept secrets in South Florida, at least as far as sushi is concerned. The location may not be ideal, but once you step inside you’ll enjoy the look and feel of a modern sushi restaurant. Odd as it may be to hear, Matsuri’s specialty is rice, as they go to great lengths to ensure that it’s the perfect complement to all of its sushi selections. The prices are fair and many have praised Matsuri as one of the most authentic sushi bars in Miami, despite its rather odd location in a strip mall. There’s been a beverage revolution brewing in this country for quite a few years. Craft beers are starting to become just as popular as many of the traditional beer companies, and there’s an ever-growing desire for tasty microbrews. 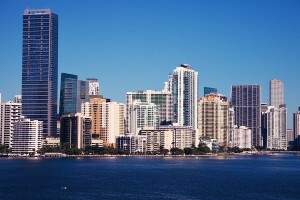 The city of Miami has been no exception to this and is following along with the trend full throttle. The city of Miami has plenty of great bars, but here are five places you want to go for craft beer. Not only does this bar in Miami’s Wynewood neighborhood offer 24 different beers on tap, but it also sells it in high volumes. The Butcher Shop features a beer tower that can hold up to three liters of your favorite brew. The beer list includes selections from many of South Florida’s craft breweries, and there’s plenty of great pub fair to eat while you drink. There’s also outdoor seating on the covered patio, so day or night and rain or shine, the Butcher Shop Beer Garden & Grill is a great place to visit. Located on the north end of South Beach is Lou’s Beer Garden, which is filled with more than two-dozen microbrews from all over the country. Lou’s has a rather cozy outdoor seating area and a laid-back vibe, making it the perfect place to relax and enjoy a couple cold ones. It’s a small place and a little hidden, but if you can find it, you’ll be more than happy to sit down and stay awhile. This is another place that’s small in size but big on beer. Abbey has beers that you won’t be able to find anywhere else in Miami, including several European imports and a few house-made beers as well. If you have a beer bucket list, this is a great place to go to check off a few items. It’s also a nice place to relax and meet a few locals who have a shared interest when it comes to great-tasting craft beers. If you find yourself in Coral Gables, you have to check out The Local. Between bottles and tap, this place offers over three-dozen beers, and The Local is always putting in new taps and special releases, including beers that can be incredibly difficult to find. If you’re still not sold on this place, The Local also has special events in which they host local breweries. Oh, and everyone says the food is great, including the desserts. If you want good beer selection, you want to visit The Mighty. This place has over 50 bottles for you to peruse, as well as 12 taps that are constantly changing. The owners have a great love for craft beer, and it shows, often finding taps of rare beers, as well as plenty from the South Florida area. It’s a fairly new place, but The Mighty is quickly gaining a good reputation for its beer selection, atmosphere, and menu, which is full of tasty options that complement its outstanding beer. May has arrived, and spring is in full swing, although in Miami it’s starting to feel a lot more like summer. 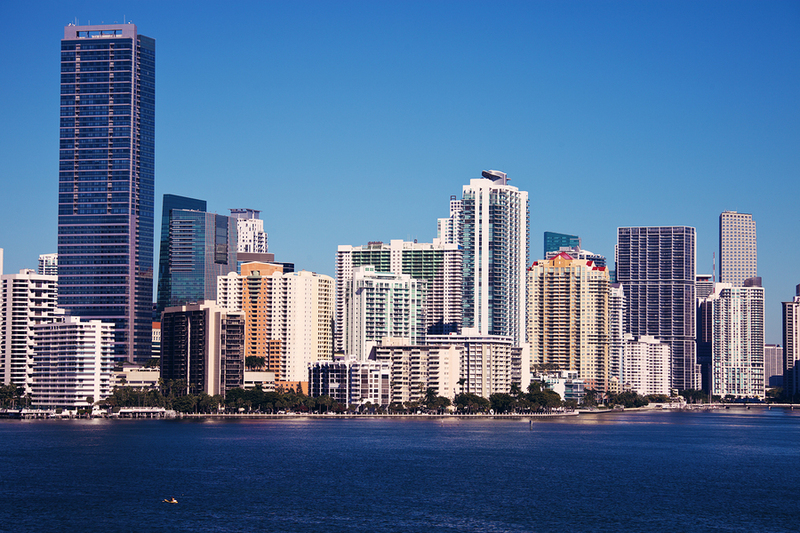 With the warm weather here, there’s a lot going on in Miami all month long, with so many shows, events, and concerts that there’s bound to be something for everyone. Here are five things happening in Miami in May that you can’t afford to miss. Zoo lovers and beer lovers, unite! This event is perfect for anyone who has an interest in animals or for anyone who enjoys test tasting beer. 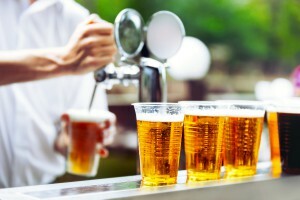 A general admission ticket to Brew at the Zoo gives you unlimited beer samples, with more than 100 craft beers available. You’ll also have access to some of Miami’s top food vendors, who will also be present. There will also be live music, including a performance from hip-hop band Arrested Development. Finally, for those animal lovers, ticket holders will get a free admission to Zoo Miami any day the following week or the option to take $30 off a zoo membership. General admission tickets are $40 in advance and $50 at the door, a price that’s well worth it. This wonderful musical tells the story of singer-songwriter Carole King, whom you have to thank for writing 118 Billboard Top 100 songs between 1955 and 1999. The show is upbeat, flashy, and includes many of the songs King wrote herself, as well as several other contemporary songs you may recognize. Between May 10 and 22 there will be 16 shows at the Broward Center for the Performing Arts in Fort Lauderdale. That’s plenty of opportunities to see it, so there’s no excuse for missing it. This is the largest orchid show in the country, so if you’re an orchid enthusiast or simply love seeing beautiful flowers, you have to check it out. For everyone else, it’s just a gorgeous setting to spend a day, taking place at Fruit & Spice Park down the road in Homestead. The park itself is a sight to see any day of the week, but on this particular weekend it will be filled with exotic flowers, expert speakers, and a raffle. If that’s not enough to get you out there, the Redland International Orchid Show will also have an international food court filled delicacies from all over the world. Oh, and tickets are only $10. This will be the final show of the season for the Miami Symphony Orchestra, a musical ensemble you have to check out at least once. The show, led by conductor Eduardo Marturet, will feature a performance by famous pianist Lola Astanova, and is sure to include plenty of other memorable moments. The show is one night only; so don’t miss it! It’s at The Adrienne Arsht Center in Miami. Surely everyone is familiar with Hair, and if you’ve ever had the desire to experience or re-live the days of the 1960s, this is the perfect way to do it. The songs will be both infectious and familiar and are guaranteed to take you back to another time, even if it’s just for a couple hours. There will be several performances to attend between May 20 and 25 at the Kravis Center for the Performing Arts in West Palm Beach, just a short drive from Miami. Tickets are $45, and the show will be well worth the trip.